AUSTIN! 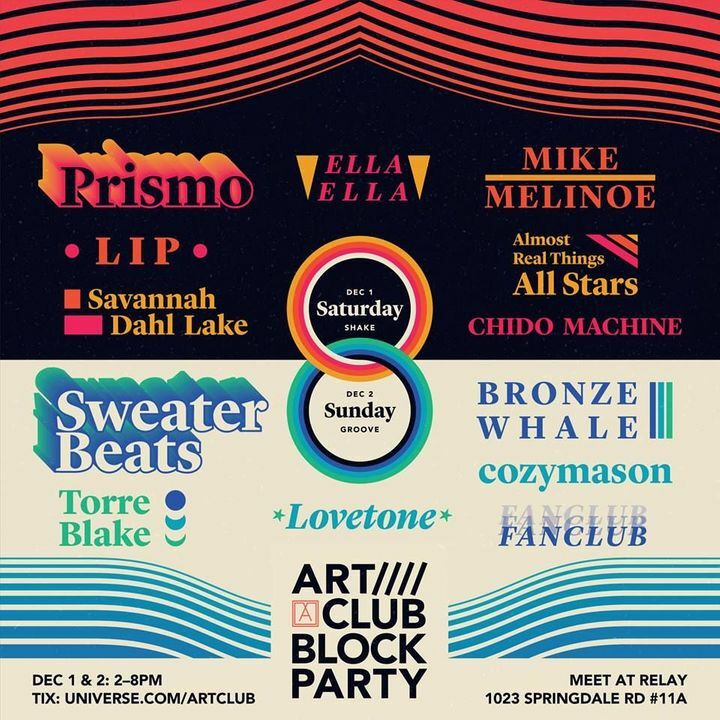 Catch us Sunday at the ART Club Block Party! We play @ 5:50 PM. Amazing artists and musicians all weekend long including Prismo and Sweater Beats. See you there! Track to know when Bronze Whale is playing near you.